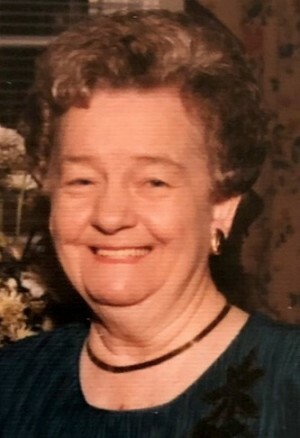 Mrs. Betty Ruth Wilson, 86, of Buckhead, GA, passed peacefully in her sleep while surrounded by her family on January 31, 2019. She was born on November 1, 1932 in Lancaster, SC to the late John C. and Mary Alice Mullis. Mrs. Wilson was preceded in death by her husband, Elder Albert F. Wilson, Sr., two sisters, Jerri Murakami and Johnnie Hinson, and a great-grandson, Justin Alan Young. She is survived by her children, Albert F. Wilson, Jr. and Linda (Rick) Howell of Panama City, FL, Susan (Carl) Stewart and Anne (Dean) Yoho of Buckhead, GA, and Sharon (Stanley) Schwartz, of Covington, GA; 10 grandchildren, Amanda Morris, John Howell, Janet Bryant, Erin Holbrook, Joey Brand, Laura Barron, Travis Schwartz, Karen Vaughn, Abby Morris, and Tommy Sutherland; 20 great-grandchildren; and 1 great-great-grandchild; 2 brothers, Rommy (Linda) Mullis, Tommy Mullis, and 1 sister, Peggy White, and a very special friend of the family, Belinda Pierce. Mrs. Wilson was devoted to her husband and family and was never happier than when everyone came “home” and she was cooking a big dinner. She enjoyed working in the garden along with her husband and tending to her flowers. Mrs. Wilson was a member of Rock Springs Primitive Baptist church in Madison, GA.
Funeral services will be held on Tuesday, February 5th, 2019 at 2:00 PM (EST) at the Johnson Brown-Service Funeral Home Chapel in Valley, AL. Interment will follow in Shady Grove Cemetery. The family will receive friends Tuesday from 1:00 PM (EST) until the service hour at the funeral home.